For many, the X-wing Fighter is the bold face of the rebellion. It is a benchmark of the Star Wars franchise, and that is why in 1999 LEGO chose it to be the very first Star Wars themed set to be released. 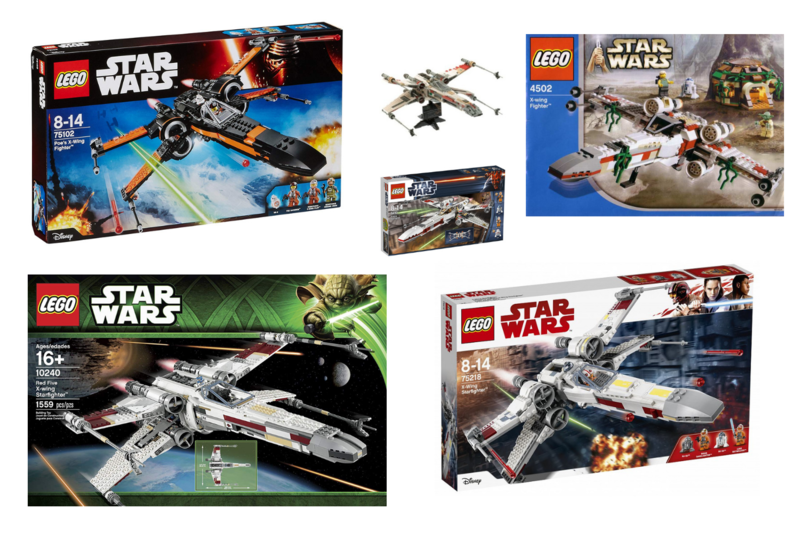 LEGO has continued to release variable and improved X-Wing sets since 1999 with most recent release of the 75218 model in August 2018. There have been 10 X-Wing models created (not including microsets or Microfighters). We are going to provide a synopsis and comparison as to decide which of the models is the best, and which has the most value. 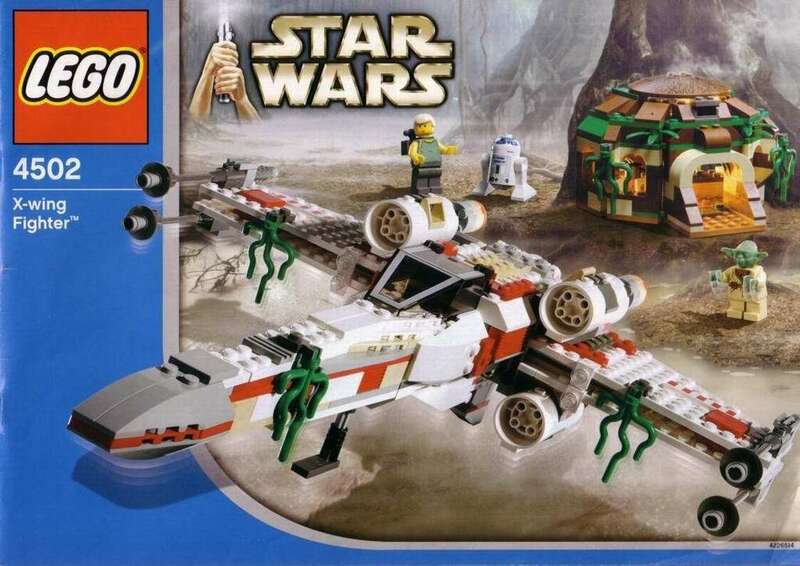 This was the very first Star Wars LEGO set to ever be released and was the front-page star of the 1999 Lego catalogue. It came with 263 pieces, 4 minifigures, and a fun comic book with alternate builds! The pieces were all printed and required no additional stickers be added to the model. This X-Wing featured a Utility Train with one car to shuttle pilots, and one car containing 6 tools. The main fighter build has 2 storage compartments located at the front of the ship and behind R2-D2’s spot. The 4 mini-figures included in the set are a Rebel Mechanic, R2-D2 the astro-mech droid, Luke Skywalker (lightsaber included), and Luke’s childhood friend from Tatooine Biggs Darklighter. The comic at the back of the instruction book detailed Luke’s crash on Dagobah and included alternate builds which were: a boat with a jet ski that detached from the boat, a full-sized communicator device, a mech, and a full-sized lightsaber handle. This X-wing was released in the year 2000 as one of the first two Star Wars sets in the Ultimate Collector Series. The UCS set came with 1,304 pieces, a scale model of R2-D2, a stand for the X-Wing, and a description card. The wings of the fighter can shift between attack or rest position and boasts a 20-inch wingspan. This being a collector set the details are immaculate and renders the model worthy of display in any household. This was a 2002 re-release of the 7140 model. There are no variations from the original model it was just so good they released it twice. This model was the only one to depict Luke’s crash on Dagobah, and to include a Yoda mini-figure from The Empire Strikes Back. It consisted of 563 individual pieces, 3 mini-figures, and Yoda’s hut. The 3 mini-figures are: Luke Skywalker, R2-D2, and Yoda. The Luke mini-figure is considered very special because he is in his Dagobah training clothes, a minifigure only available in this set up until the recent release of the 2018 Yoda’ Hut set. The actual fighter features a gear that allowed the wings to move up and down plus it is the only model to include swamp algae for improved accuracy. Yoda’s hut comes with his bed, a glass, and a special secret compartment. This X-wing model is remarkably unique and as such it is very valuable, a must have for any serious enthusiasts or collectors. This release of the X-wing Fighter includes: 437 pieces, 6 very well-known mini-figures, and interchangeable pieces allowing you to switch between two different X-wings. The mini-figures are Luke Skywalker (pilot), Wedge Antilles, Han Solo, Princess Leia, Chewbacca, and of course R2-D2. The interchangeable pieces are specific paneling that allows you to switch between Luke’s Red 5 X-wing, and Wedge’s Red 2 X-wing. Unfortunately, there are 2 major inaccuracies in this set that need to be addressed. The issues are: Wedge’s fighter is depicted as Red 3 instead of Red 2, and Leia’s hairstyle is from her wardrobe in Episode IV while her body is from the rebel base on Hoth in Episode V. The number of memorable characters included in this model are very exciting, but the inaccuracies in the design reduce the value. 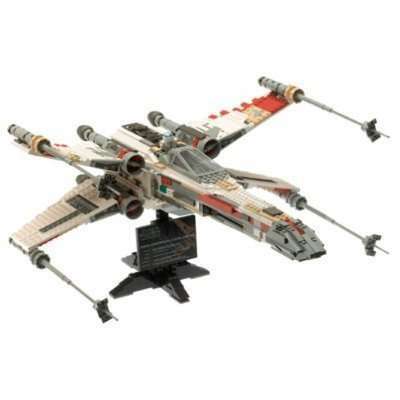 This X-wing Starfighter comes packed with all kinds of additional features, and special characters. The model has 560 pieces, 4 mini-figures, adjustable wings, landing gear that retracts, functional cockpit, and proton torpedoes. The gear for adjusting the wings is much easier to operate than in previous models. The proton torpedoes are not regrettably flick-fire, but still make a wonderful addition to the set. The total length of the X-wing measures just over 12 inches. The 4 mini-figures included in the set are: Luke Skywalker, R2-D2, Jek Porkins, and R5-D8. This is the only time the mini-figure Jek Porkins appears in a set. This is an awesome build of the X-wing and includes so many additional features and unique characters. Anyone would be lucky to have this to add to their fleet of Star Wars ships. Another addition to the Ultimate Collector Series this Starfighter boasts immaculate detail with 1,559 pieces, a display stand plus info card, and the ever present R2-D2 mini-figure. The newly developed joints and pieces that have been created since the last UCS set (7191) make this the most detailed X-wing yet. The model does have a cockpit that will open, and the adjustable wings are controlled by a gear in the back. The LEGO pieces are not all printed so a steady hand for applying stickers are required. LEGO has improved the overwhelming colour scheme from the previous model, but some collectors still felt the need to paint it completely grey. This is another incredibly detailed model that will make any collector very happy to add to their collection. The main feature that makes this X-wing stand out from the rest is it’s unique colouring of a Halloween shade of orange and black. 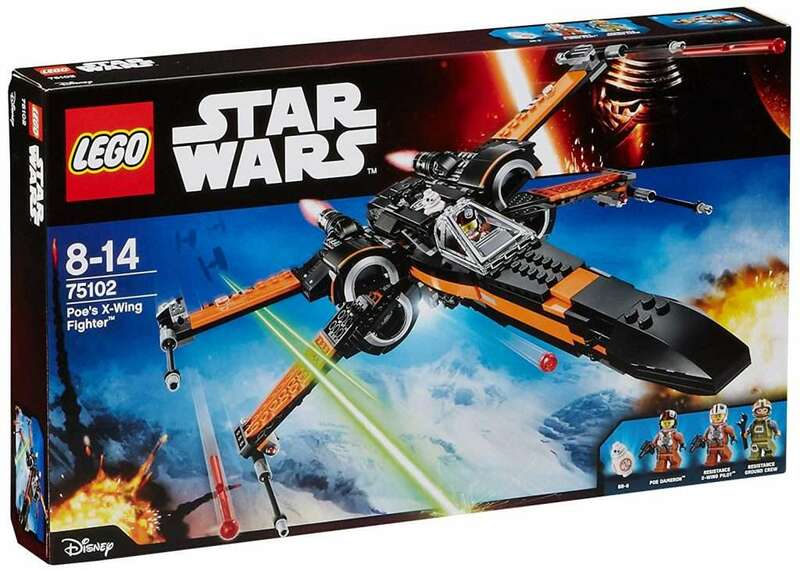 This is also the first X-wing model released as a part of The Force Awakens line signifying the end of an era in pre-Disney Star Wars LEGO. This model contains 717 pieces and includes spring-fired proton torpedoes, and a cockpit piece that is printed and unique to this set. The gear system that shifts the wings into attack mode has also been moved to the top of the fighter. The 4 mini-figures that accompany this X-wing are: Poe Dameron, BB-8, a Resistance X-wing pilot, and a Resistance ground crewman. There is also a Utility Train like in the original set for performing maintenance on your X-wing. This is a wildly iconic X-wing set because of all the drastic changes to the status quo making it a very exciting build. Another drastic colour change from the original X-wing design leaves this spacecraft looking blue, literally! 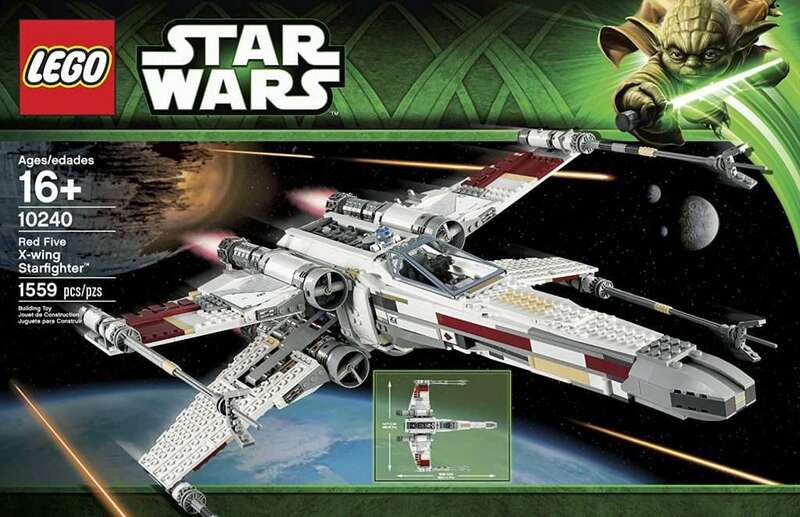 Now this is the exact same core design as Poe’s X-wing fighter with 740 pieces and some exciting changes to the build. The major adjustment to the base model of this X-wing is the removable hyperdrive located near the rear of the craft. Instead of another Utility Vehicle a collapsible moisture vaporator where flames pop up when it goes down is included. There are 4 mini-figures included in this set which are: Poe Dameron, Lor San Tekka, a First Order Flametrooper, and BB-8. Poe and Lor San Tekka have double sided heads to display different emotions, and the Flametrooper comes with a rifle that has Lego flames that come out of it. This is another creative build from the new era of Star Wars Lego sets, and it will have you burning with excitement to assemble it. This is the latest instalment in the X-wing series released August of 2018, and it also includes the most features and goodies along with it. 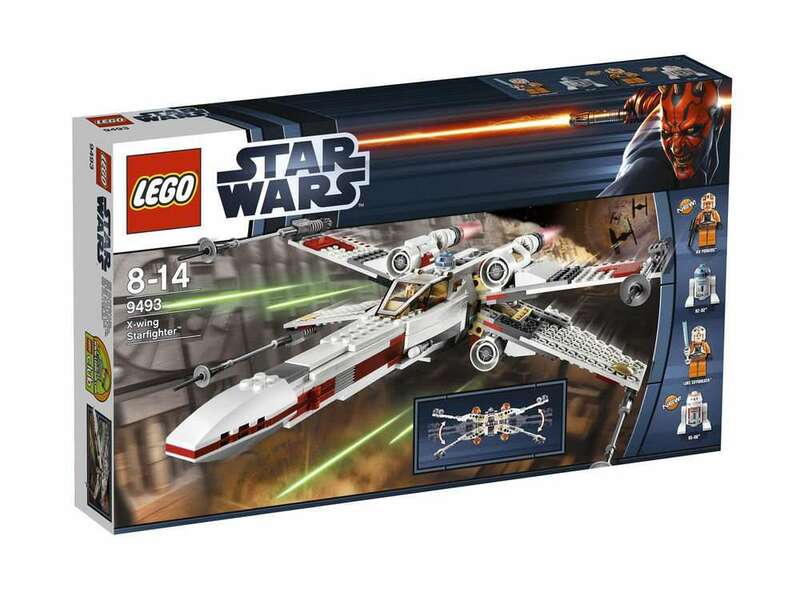 Lego pays homage to the original X-wing model design by returning to the traditional grey and red colour scheme. They also included 3 familiar mini-figures from the original model as well with 1 new mini-figure to add to the set. 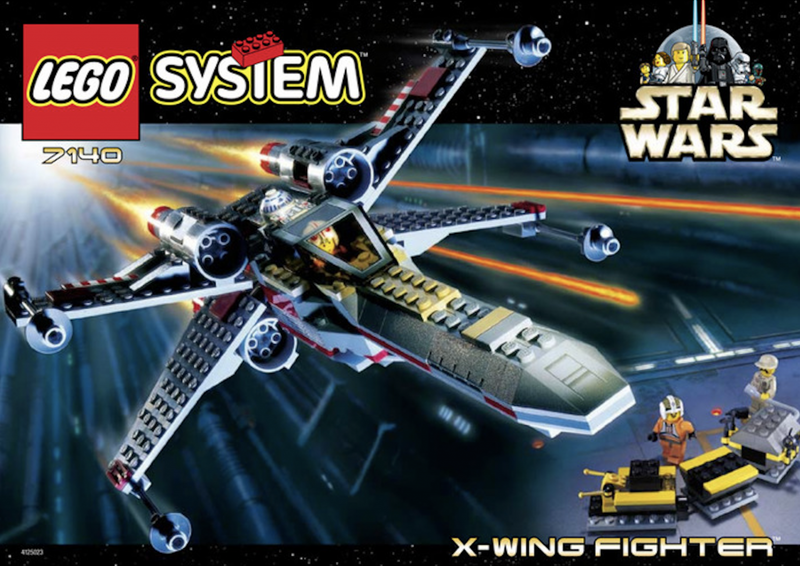 The added features to this X-wing are huge and include: a new lever system to adjust the wings into attack mode, a fire extinguisher behind the cockpit seat, and stud shooters on the side of the craft. A cockpit that opens and retractable landing gear are now standard with all recent X-wings and this trend will continue for all new sets. The 3 familiar mini-figures in this set are: Luke Skywalker, R2-D2, and Biggs Darklighter with the new addition to the crew being another droid named R2-Q2. This set does require stickers to be applied for decoration and it allows you to switch between Luke’s Red 5 X-wing and Bigg’s Red 3 X-wing. 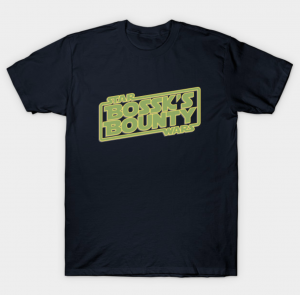 This is the newest addition to the X-wing product line thus making it readily available for purchase and it doesn’t hurt that it is jam packed with new and exciting features. We have finished this detailed review of all the X-wing models and it is time to hand out the awards and make our recommendations. 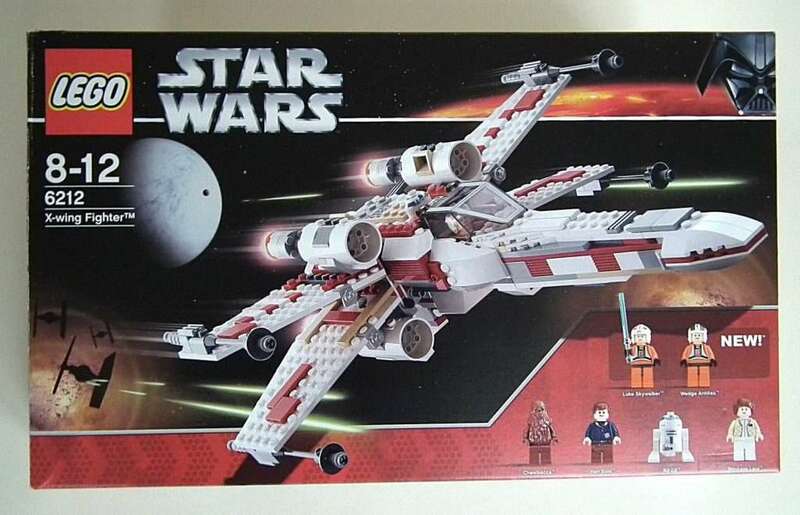 The Red Five X-wing Starfighter 10240 wins the award for most detail hands down with 1559 pieces and the colour issue being resolved from the previous UCS set. This is a must for serious collectors and any AFOL (Adult Fan of LEGO), however I would not recommend it for young children. The mini-figure award goes out to the X-wing Fighter 4502 depicting Luke’s crash on Dagobah. This set includes the unique Luke Skywalker mini-figure in his Dagobah Jedi training uniform. 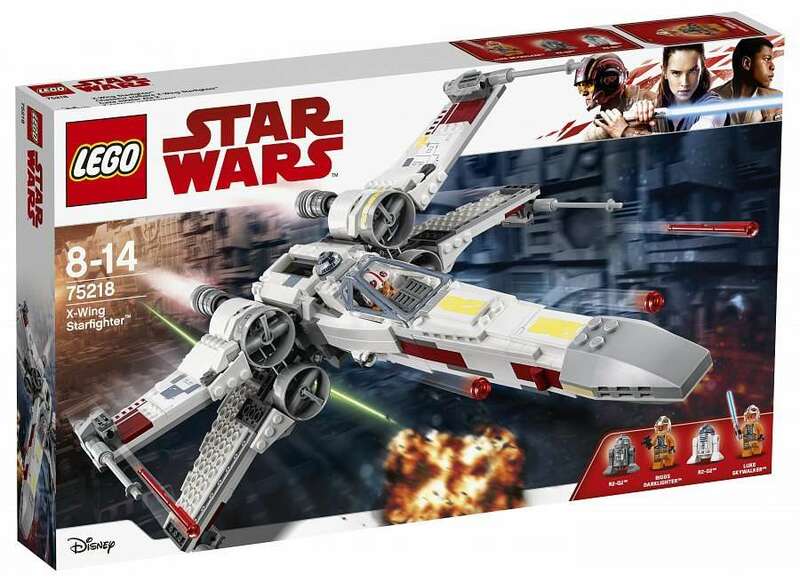 Finally, the best set for a young Star Wars fan is the Resistance X-wing Starfighter 75149. 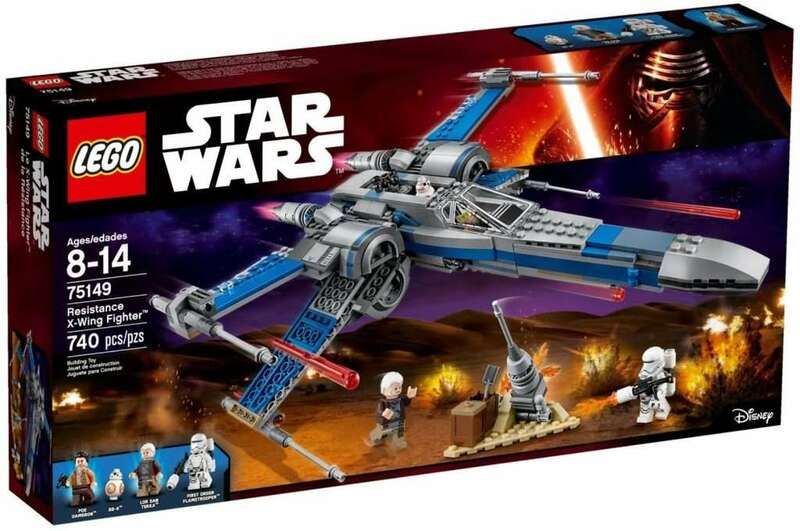 This model has all the sharp looks and cool features of the most recent LEGO sets with recognisable and fun characters from the new Star Wars movies. What’s your opinion? Let us know in the comments.